This is the second of two articles about the role played by Forest Gate residents in the "Hammers Battalion", more formally the 13th (Service) Battalion (West Ham), of the Essex Regiment - 1914 - 1918. It is largely based on the excellent Up The Hammers, a well researched account of this short-lived battalion, by Elliott Taylor and Barney Alston. It is highly recommended to anyone intrigued by this post, and is available, priced £14.99 from Newham Bookshop, and the publishers, Amazon - see footnotes for details. And so, onwards to the Battle of the Somme, in which the Hammers were soon in the thick of. Its opening day, 1 July, was the costliest ever for the British army, when 18,000 men were killed and a further 42,000 injured. The intensity of the bombardment was such that the opening barrage could be heard in Forest Gate. Harry Smith, of Henderson Road wrote to the Stratford Express describing how some of his neighbours: "feared it was an attempted invasion. I have never in all my life heard so persistent and continuous booming of guns." The Hammers incurred some fatalities and many casualties, but fought with distinction, as the book's authors illustrate so thoroughly - as indicated in the detail, below. Lt William Busby was awarded the Military Cross for "gallantry on the night of 1/2 July" (and was soon promoted to captain, on 31 Aug). Private EM Wilding, who came from Monega Road was awarded the Military Medal. 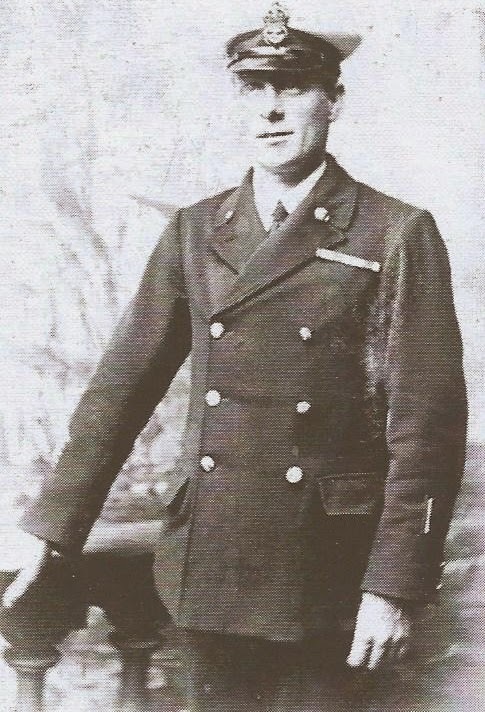 Wilding had joined The Hammers on 8 February 1915, having previously been a tough quartermaster in the merchant marine. He was noted as having enlisted to "The Hammers", when "thoroughly drunk." , awarded the Military Medal. 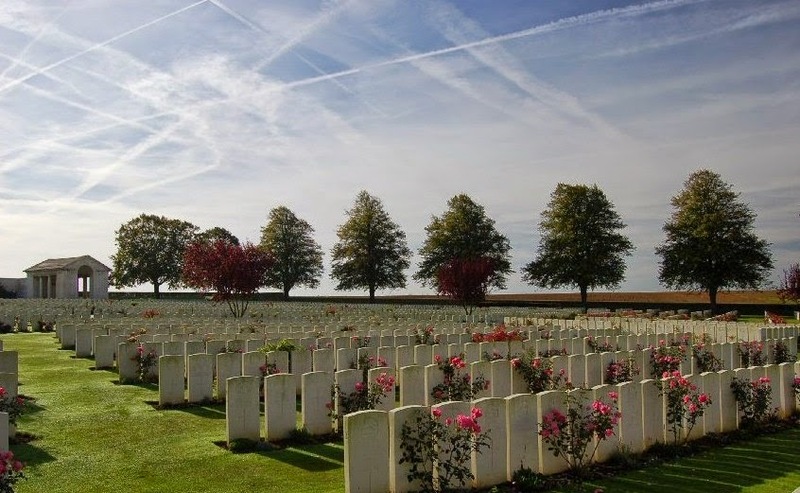 Latter in the battle - on 14 July - Private Robert Lee, from Forest Gate was killed outright by heavy shelling and was buried in what is now the Canadian Cemetery No2, outside Neuville St Vaast. By the end of July the West Ham Battalion was fighting around Delville Wood and William Busby, who was in the thick of battle yelling encouragement to his troops, was wounded, on the 29th, by a bullet to his right knee. He struggled back to an aid post and was sent to a hospital in Rouen for 12 days, to get patched up. Outside the men of the HQ company began frantically digging with shovels, helmets and their bare hands at the earth, sandbags, wood and corrugated iron sheeting still smoking from the impact. Frantically they released the trapped and dreadfully shocked men. 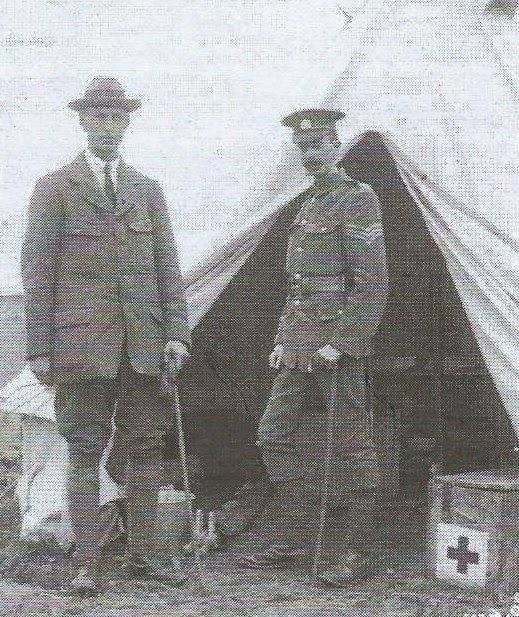 Dr Holthusen was immediately in attendance and found that his younger brother Len, as well as Major Churchill, were both so seriously injured that they required immediate evacuation. ... for Len Holthusen, the Hammers snooker champion at the Alexandra mess, back in Stratford High Street (this was the Alexandra Temperance Hotel; the officers' mess during the war, now the Discover Children's Centre), the war was over. Evacuated to England, his initial recovery took seven months. Even then, he never truly returned to full health and the engineering surveyor of Forest Gate reluctantly left the army, a broken man. Len Holthusen, who had been badly smashed up when the HQ dugout was hit during action at Delville Wood, still suffered with his wounds after the war. He had sought recuperation in Westcliffe On Sea, but sadly died aged 34, at the Milbank Military Hospital in November 1920. Alan Holthusen had also moved to Westcliffe to be near his brother, living there until his death, aged 65 in 1950. Suffered heavily in their tour with two hundred and twenty nine men gone, including nine of the officers. ... Twenty of them were literally sent mad by shell shock. A terrible price, especially when it is remembered that they had not initially been in the front of the attack. 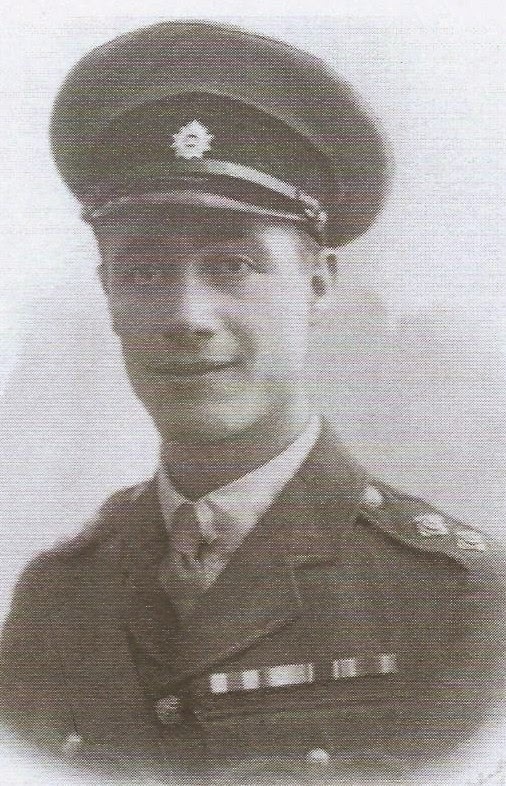 Although it is invidious to pick out the names of some rather than of others who fell, their number included Private Hubert Ayres, who lived in South Esk Road, with his wife Alice and together ran a small coffee shop and Private Joseph Sait of Katherine St, Forest Gate, one of the original 300 volunteers to the Hammers Battalion, who was awarded the Military Medal, posthumously. By August enough of the officers had been wounded that untried juniors, like 2/Lt Bernard Page (see previous post) were having additional responsibilities thrust upon them. Others like the recently commissioned Arnold Hone, a 21 year old shipping clerk of 176 Romford Road Forest Gate were thrown into the fray. 19 year old Bernard Page lead his company in an attack in the early hours of 9 August, and they were mown down by combatant fire, and their bullet-riddled remains left on the battlefield. The stretcher bearers weren't able to get to Bernard Page. The body of William Busby's great friend and billiard partner was never found. A West Ham lad, through and through, his proud father Robert was devastated when he received the telegram from the War Office. In common with so many families, his grief did not end there. Bernard's older brother, Wilfred, was also killed in action, in March 1918. 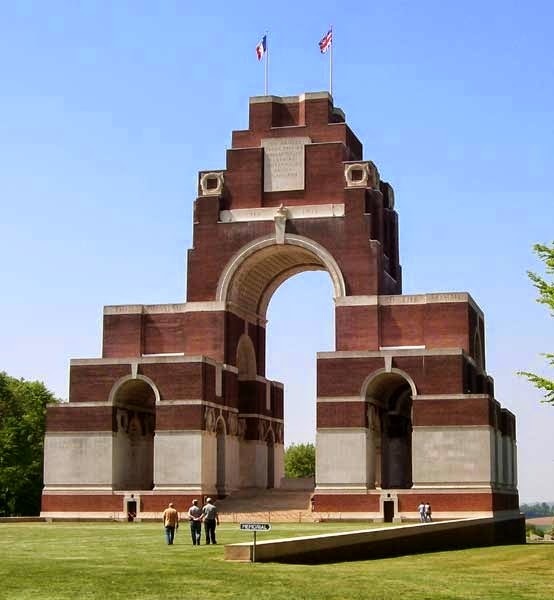 Today 'BRP' is another commemorated on the Thiepval Memorial to the Missing. Meanwhile, the recently commissioned 2/Lt Hone returned from the night's carnage "exhausted, dehydrated and wounded". So lengthy was the death and casualty list, that his circumstances barely received a line in the official account of the night's events. 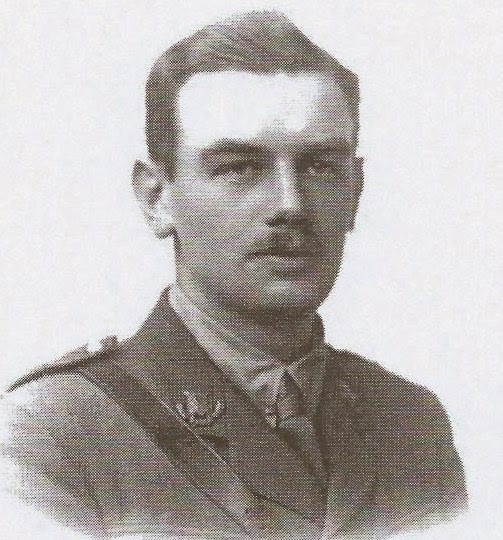 Other Forest Gate-related deaths recorded at the Somme, according to the book's authors, included those of Cpl Frederick Hunt, who was one of the enthusiastic volunteers when the battalion was established in March 1915, whose body was never recovered, following an intelligence gathering mission on 4 September. He was a 31 year old clerk from 56 Cranmer Road, and his name joins that of Bernard Page on the Thiepval Memorial to the Missing. On 26/27 October Field Road resident Sgt Harold Joseph Morrison was on patrol in No Man's Land reconnoitring German wire, when he was caught in German fire, he was badly hit and bled to death. He is buried in Sucerie Military Cemetery. The young-looking, 21 year-old 2/Lt Arnold Hone was soon to distinguish himself in the field. He lead his men in a daring and brave mission on 13 November, at the Battle of Ancre, showing great tactical awareness, leadership and bravery, for which he was to receive the Military Cross. The result of the action was that The Hammers took a German 'minor' trench, thanks largely to Arnold Hone's "splendid example", as a cool head under fire. in a photo taken after the war. The losses had been horrendous, nearly half of those involved had become casualties. .. no less than ten (officers) were immediately listed as missing ... The huge numbers of wounded filling the trenches ... who had been pouring back for two days bore witness to the withering nature of the machine gun fire and vicious hand to hand fighting. In addition to the officers, 165 "other ranks" were posted as missing, of which only seven were ever located. The "butcher's bill" paid by the Hammers in the Battle of Ancre was truly awful. Two of the officers who were killed at Ancre were 2/Lt George Manners Gemmell, a 27 year old insurance clerk from 10 Hampton Road, who after a chance meeting with some members of the Hammers, had applied to become an officer with the battalion in 1916. Although killed in the field, brave comrades were able to drag his body back to British lines, for a dignified burial. Captain William Busby also perished on this night, leading his platoon into action. He was hit in the head by bits of a German shell, a small 'whizz-bang'. His dying words, according to Silvertown boy Pte J Clark were "Goodbye my lads, I hope you will get through, alright". His comrades were able to drag his body back, through the mud, to give him a proper burial. On hearing the news, the boys of the West Ham Scouts immediately renamed themselves Busby Troop (which still, today, meets in Durning Hall), and changed their neckerchiefs to khaki, in his memory. His Company Sergeant Major wrote to his father, describing him as "An ideal officer". He is buried, besides George Gemmell at Serre Road No 2, the largest cemetery in the Somme. The battalion was devastated by the losses they suffered at Ancre, but continued to serve, being moved up and down the line in the Somme. Deaths and causalities continued to be endured. Unfortunately the battalion diaries soon afterwards stopped publishing the names and ranks of the fallen, probably because there were so many and it was so ghastly a task - so it is difficult to be precise about which local men suffered, where - from now, in The Hammers Battalion. Deaths and casualties mounted on the front line, however, until an operation in the village of Oppy on 28 April 1917 saw 125 of them killed. 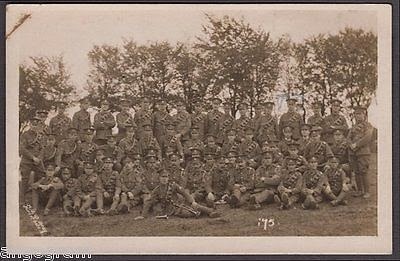 There were precious few of the original volunteers left, and the battalion's numbers were often replenished by men with little association with the area - because the unit numbers needed to be kept up to fighting strength and levels. There was little respite. Within six months the battalion was embroiled in the Third Battle of Ypres - better known as Passchendaele. Further casualties followed and army re-organistions took place, to rationalise military units. In January 1918 the battalion was disbanded, with the remaining soldiers redeployed to other units, with thanks from Field Marshall Douglas(Later Earl) Haig, for "fine work, consistently done". The war ended on 11 November, that year. Forest Gate, like every other suburb, town, village and city in the UK, and beyond, paid a heavy price in blood, for what turned out to be a pyrrhic victory, in an inconclusive war. 1. 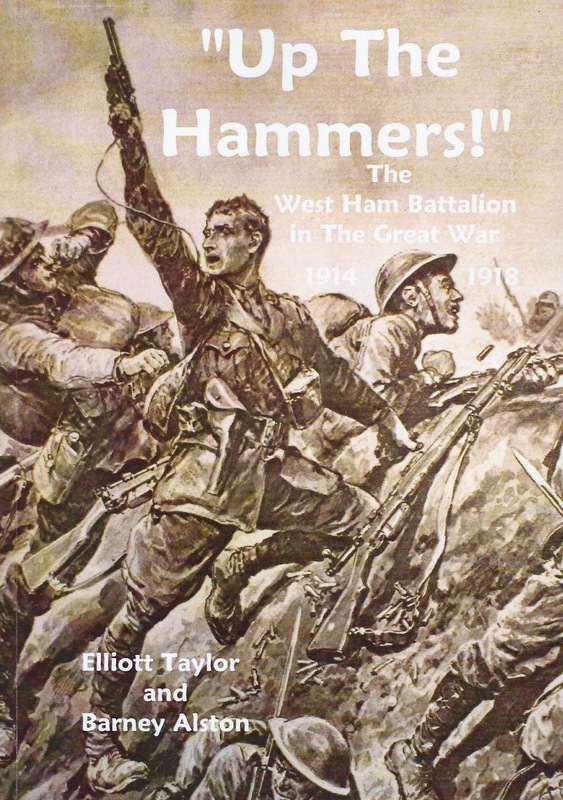 Thanks to Elliott Taylor and Barney Alston, whose dedication resulted in the publication of Up The Hammers - The West Ham Battalion in The Great War - 1914 - 1918, available at Newham Bookshop, and from the publishers, Amazon for £14.99. See here, for details. The book is available from Amazon, world-wide and has 60 never-before-published photos of the Hammers, a small number of which, as indicated, have been reproduced above. 2. Elliott maintains an up-to-date blog on matters relating to the battalion, which is well worth a visit, via hyperlink:this. Elliott is always seeking out new relatives of soldiers from the Battalion, and will be happy to share your details of them (if you wish) with visitors to the site, and his further researches with you. 4. As Elliott reminded us, Walter Tull (see link above) was a member of the Footballers Battalion during the First World War. They fought side by side with The Hammers Battalion, throughout its existence, in the 6th Brigade of the British army.